Nestled between the golden beaches of the western Mediterranean and the peaks of the Pyrénées, Languedoc-Roussillon offers up a rich mix of lively resorts, picturesque villages and flourishing vineyards. Whether you choose to pitch a tent up near Montpellier or opt for camping near Carcassonne, you’ll discover an outdoor escape is the best and most relaxing way to enjoy this delightful region. Thanks to its unique position in between the mountains and the ocean, holidays in Languedoc-Roussillon really can see you having the best of both worlds. It forms part of the balmy Occitanie region that’s known for its gorgeous beaches, rolling green hills and winemaking industry. The southern end of Languedoc-Roussillon - near the Spanish border - is where you’ll find the Pyrénées mountains as well as towns and attractions with strong Catalonian influences. To the north is the region’s long stretch of Mediterranean coastline that’s dotted with idyllic beaches and historic coastal cities like Montpellier. For those wanting a wild outdoor experience, you’re better off heading inland to Languedoc-Roussillon’s stunning Cévennes mountain range and the vast plateaus of the Grand Causses Regional Natural Park. 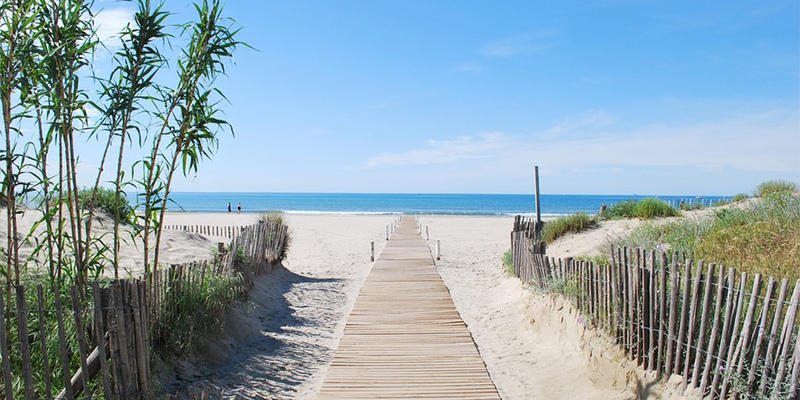 Our hand-picked selection of coastal campsites in Languedoc-Roussillon give you access to the region’s best beaches, towns and historical sites. Montpellier, just 10km from the sunny Mediterranean coast, is one of the most popular metropolises in the region thanks to its wonderful mix of medieval attractions, great entertainment options and world-class eateries. 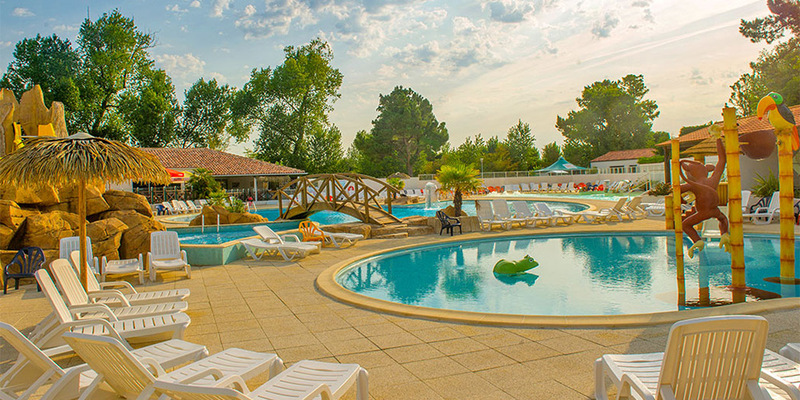 Camping in Montpellier is a fantastic option for families and couples alike, with coastal campsites like L’Europe in nearby Vic-la-Gardiole providing both seaside and rural activities as well as great access into the city centre. Walking, cycling and sailing are all popular pastimes when camping in Languedoc-Roussillon - but there are also plenty of attractions to discover by car, from amazing landscapes and fascinating cities to a thrilling safari park. 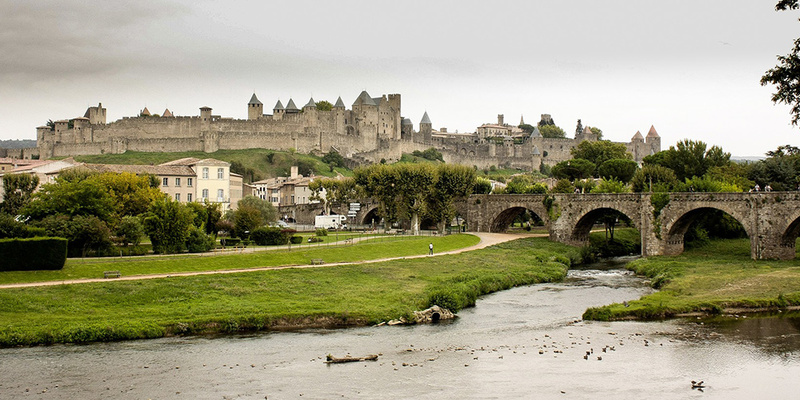 Carcassonne - The fairytale city of Carcassonne is unsurprisingly a UNESCO World Heritage. Stroll around the cobbled streets of its Citadel and stock up on local almond pastries before enjoying a riverside picnic. Montpellier - Medieval Montpellier, a city with one cathedral and two opera houses, is a centre of violin-making. Children will enjoy the Mare Nostrum aquarium and the zoo with its Amazonian greenhouse. Collioure - A picturesque coastal village close to the Spanish border that attracted many of the 20th century’s greatest painters. Take a tour of the wine cellars housed in the old Dominican monastery and don’t miss the golden altarpiece of the Notre Dame Des Anges. 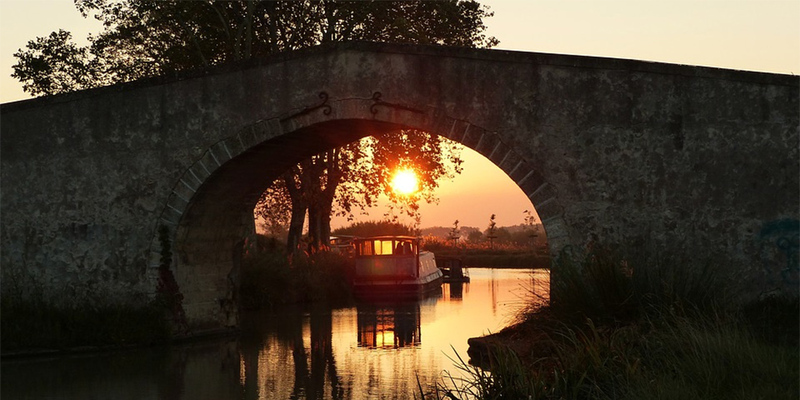 Canal du Midi - Built between 1667 and 1694, the Canal du Midi was an incredible feat of engineering, designed to avoid the long voyage round Spain. Explore it on foot, by bike or on a guided boat trip. Aqualand Waterpark, St Cyprien - Set in six hectares of green fields and surrounded by palm trees, this is one of a chain of exciting water parks in the South of France. Réserve Africaine de Sigean - A huge drive-through safari park where you can observe antelopes, chimpanzees, elephants, alligators and other animals roaming freely in natural habitats. Cirque de Navacelles - An amazing canyon at the southern end of the Massif Central. The village of Navacelles lies at the bottom and is surrounded by green fields.